777 Theremixer is a remix creation tool featuring the glitch effect. Wave player. Basicwaveplayer is a simple wave player made with synthedit released version 1.2. Noise maker. Noisinator2 adds noise to each midi note detected. Drums sounds player. Percussion sounds player : Rimshot, Clap, Snare, Hihat, Ride, Tamborine, Crash, and Claves. Pitch editing. Simple pitch editing tool. Arpeggiator. 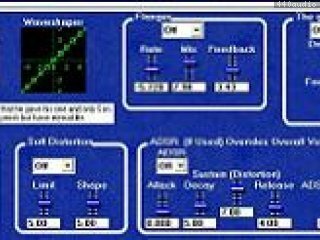 Simplearp is a simple arpegiator. Soundfont player. Simplesoundfont is simple Soundfont player made with synthedit released version 1.2. Vocal synth. Talking Synth says up to 16 letter words or phrases and works well with 1/8th notes at 150bpm. Soundfont player. Ten allows playback of ten soundfonts at one time.